Carnival Cruises have launched a new mobile app aboard the Carnival Breeze this week. Carnival Hub benefits from a range of features including chat rooms for passengers to connect and mix with one another, and up-to-minute access to the latest events and activities on the ship. Helping guests stay better connected with their fellow passengers as well the crew, Carnival Hub is completely free to use. From the latest sporting events being broadcast live on the ship to menu updates, Carnival Hub can help passengers make the most of their time at sea. Users can favourite their preferred on board events and activities to share with their travelling partner and optimise the Carnival Hub experience. Carnival Hub’s chat service works in a similar manner to text messaging and costs just $5 per cruise. The app’s chat feature also has group chat functionality so all members of the travelling party can chat together even when on opposite ends of the boat. 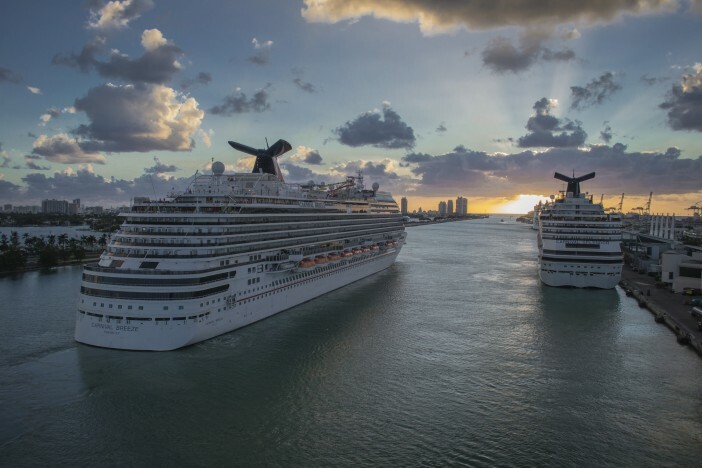 The app is currently available on iOS and Android devices and will be rolled out to the rest of the Carnival Cruises fleet within the next two years. The cruise line plans to continue adding more features and value to the app over time – with mooted additions including the ability to remotely purchase shore excursions and view all photographs taken by the ship’s photographers.